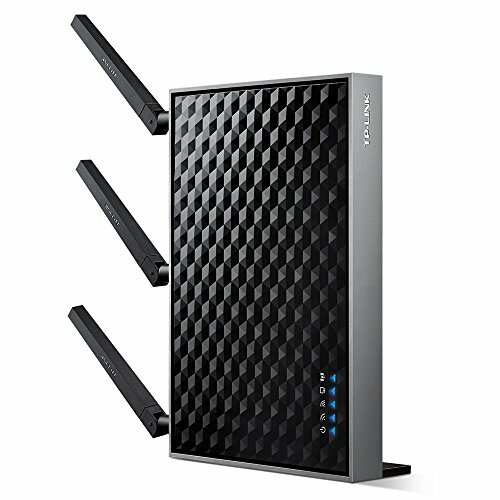 Experience high-performance Wi-Fi throughout your home with the RE580D AC1900 Dual Band Wi-Fi Range Extender. Enjoy faster streaming at speeds up to 1900Mbps. Connect your smart TVs, game consoles, and streaming players to Wi-Fi using one of the five dedicated Gigabit Ethernet Ports. Discover the best location and set up anywhere in your home using the Smart Signal Indicator. Set up and manage your Wi-Fi settings with the TP-LINK Tether App from your Android or iOS smartphone or tablet. Increase device Wi-Fi performance with beamforming technology that finds and boosts Wi-Fi to every device.